Kenya will try to remain the top track and field nation at the Commonwealth Games despite bringing a new-look team after many of their top performers opted out. The Kenyans, who are also recovering from a major doping scandal which prompted wide-ranging reforms, have come with a new crop of runners to Australia’s Gold Coast. Only three of Kenya’s gold medallists survive from 2014, when they topped the athletics medals table, with David Rudisha, Asbel Kiprop and Ezekiel Kemboi among those missing. “This is an entire young team who are hungry to chart their own destiny,” head coach Japheth Kemei told AFP in Nairobi ahead of the competition, which gets underway on Sunday. Reigning javelin champion Julius Yego and steeplechaser Jonathan Muia Ndiku, who will run the 10,000m, will use their experience to help their younger team-mates, coach Julius Kirwa said. “The spirit is very high in the team,” he said. “I am very happy with the youngsters, and even though most of them have little or no experience at the top level, we should be able to fine-tune them physically and physiologically to be ready for the show. 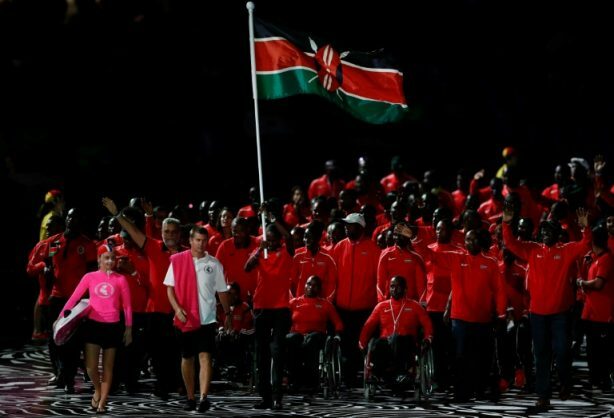 “I believe we will do better than we did in Glasgow,” said Kirwa, who coached Kenya to the top of the table at the 2015 world athletics championships in Beijing. Nicholas Bett became the first Kenyan to win the world 400m hurdles in Beijing, and the 25-year-old is back for the Commonwealths after battling leg injuries for nearly two years. He will race alongside his twin brother Aaron Bett and newcomer Willy Mbevi. Training partners Elijah Manangoi and Timothy Cheruiyot, who have dominated the men’s 1,500m in the last year, will continue their rivalry at Gold Coast. They will be joined in the race by 18-year-old Kumari Taki, who won at the world under-20 championships in Poland two years ago. World and Olympic champion Conseslus Kipruto is the hot favourite in the 3,000m steeplechase, which Kenya have won at 10 of the last 11 Games — only missing out in 1986, when they boycotted. Kenya are banking on two-time Gold Coast marathon winner Kenneth Mungara, 44, to reclaim the men’s title last won by John Kelai in New Dehli in 2010. Mungara is joined by Nicholas Kamakya, who also the Gold Coast race in 2011. World 5,000m champion Hellen Obiri will hope to make up for finishing a poor sixth in the women’s 1500m in Glasgow. The race also includes the 1,500m Africa youth silver medallist Eva Cherono, and 5,000m African champion Margaret Chelimo. In the women’s 800m Emily Cherotich returns to international competition nearly 17 years after winning the world youth championship title in Hungary in 2001. Then known by her maiden name of Cherotich Rutto, the 32-year-old mother of one, who won the youth title running barefoot in Debrecen, set the season’s best time of 1:58.1 in qualifying for the Commonwealth Games. Kenya was placed on the IAAF doping watchlist in 2016 after being ruled non-compliant by the World Anti-Doping Agency (WADA) following a string of drug scandals. Since January, elite athletes have been under the watch of a select team of doctors appointed by the International Association of Athletics Federations and Athletics Kenya.